This supplement contains the Realm of Ashenclaw setting based on the novels of Gary F. Vanucci adapted for the use with 4th edition Dungeons & Dragons. Included are 2 new heroic tier classes, 5 new themes, a new playable race and several new monsters. Also within is a map of Wothlondia as well as brief descriptions of many major locations. 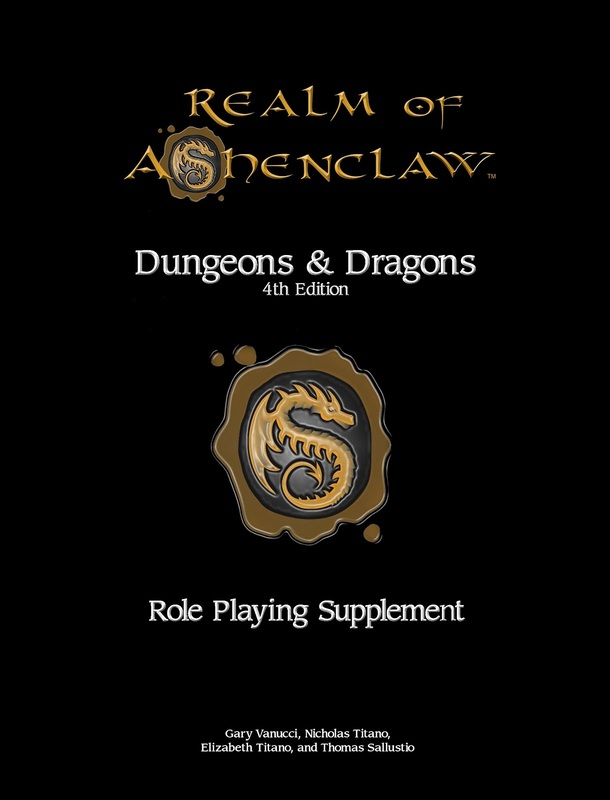 An Ashenclaw campaign based on the novels would not use certain classes, races and feats from any other campaign settings. It would instead focus on the rules provided in this publication. That being said, anything is possible and we encourage you to simply append this supplement to your game and benefit from what it adds to your gaming sessions and campaigns. We highly encourage you to explore all of the cities and places in Wothlondia and have purposely given you only snippets of information in order to inspire you as the DM and players to do whatever it is that works best for you and your group. We truly hope you enjoy the work put forth into this campaign setting and hope you enjoy the experience as well as any of the novels or short stories that are available based on the campaign setting. We maintain a blog, http://eyeonashenclaw.blogspot.com/, where we will address any supplemental ‘bonus material’ or rule appendages. We also highly encourage you to stop by www.infernaltitans.com to examine the custom battlemaps for purchase that would certainly add to your overall gaming experience.